With Apple eyeing to expand its focus on the Indian market, recent reports have revealed that the company will be starting iPhone 6s production in India in a partnership with Taiwan-based supplier Wistron. According to a new report by Reuters, Wistron is close to making a deal to start a new manufacturing unit in Bengaluru, and a part of the unit would be used to manufacture the iPhone 6s. The report states that Wistron could be investing up to $157 million in the unit, and the deal could be closed in the coming weeks. Once the unit is up and running, Wistron is expected to set up an assembly line for the iPhone 6s. This move from Apple to manufacture the iPhone 6s in India comes at a time when the company is looking to expand its manufacturing facilities outside China. 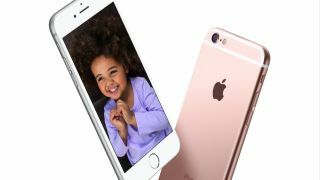 In a trial run, Apple has been assembling the iPhone SE in India for a while now, and the move to start iPhone 6s assembly in the country is a logical extension of the same. In the Reuters report, an unnamed source was quoted as saying, "(Apple is) likely to start assembling its iPhone 6s models in India via Wistron soon, as it looks to cut costs and diversify its production base beyond greater China." Another source said, "The assembly of iPhone SE in India was a pilot to test waters and it is only logical the line would be expanded." With the hike in import duties on smartphones to 20%, the decision to manufacture more iPhones in India becomes that much more important for Apple. Earlier, the government had decided to increase the import duties to 15%, up from 10%, at which point Apple had to increase the prices of all its products by as much as 3.5%. At that time, the prices of only the made-in-India iPhone SE remained the same.